While it sounds like vaporware, BotObjects claims to have the first full color PLA 3d printer. The ProDesk3D will use a five cartridge system that blends filament in the correct proportions to print in full color. The correct proportion of each color will be blended just as in an inkjet printer, then extruded to create the print. 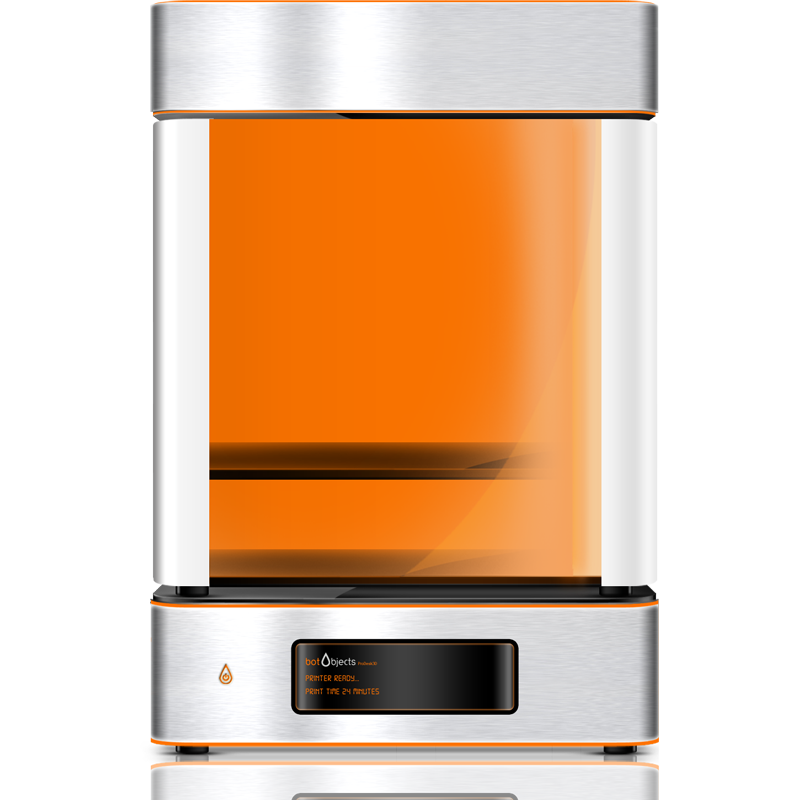 The case of the ProDesk3D is anodized aluminum with orange touches echoing the minimal design of the Form1 3d printer. The ProDesk3D also reserves an extra extruder for PVA to allow it to print support material dissolvable in water. They also claim the print bed calibrates itself on startup, and that it prints at 25 micron layer heights. No pricing details are yet available, but the features would make the ProDesk3D a premium level printer. Since the ProDesk3D uses a proprietary cartridge system, they may price the printer lower while charging more for filament. If the ProDesk3D makes it to market in June as expected, it would be the new state of the art machine with the features it claims. But without pictures of actual prints or more specifications, the ProDesk3D is just hype at the moment.